Very nice shaped antilope head table lamp made in France 1975. 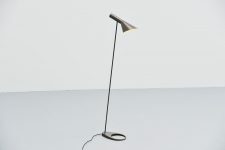 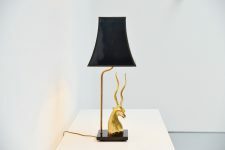 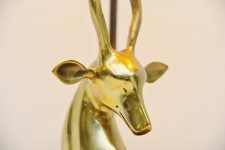 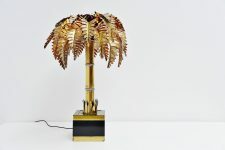 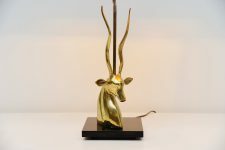 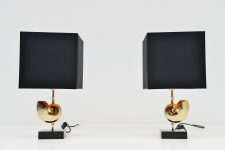 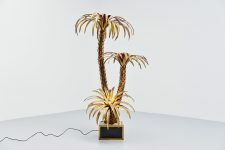 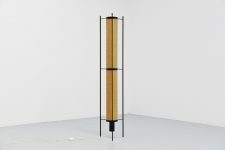 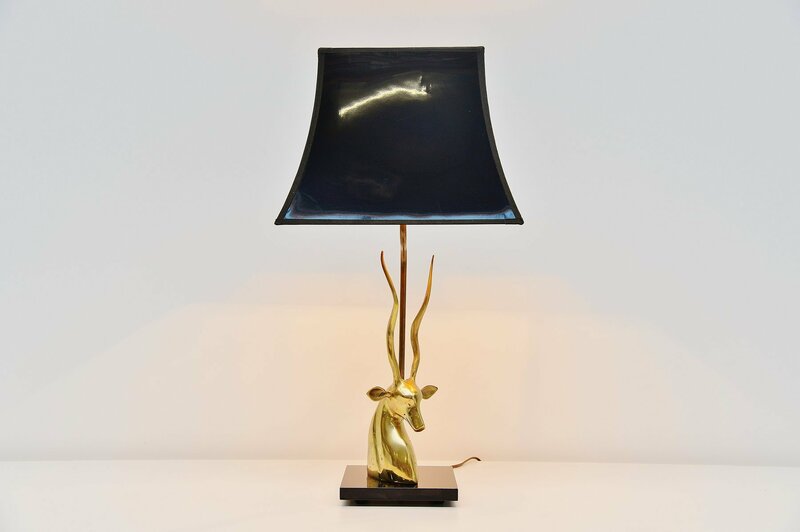 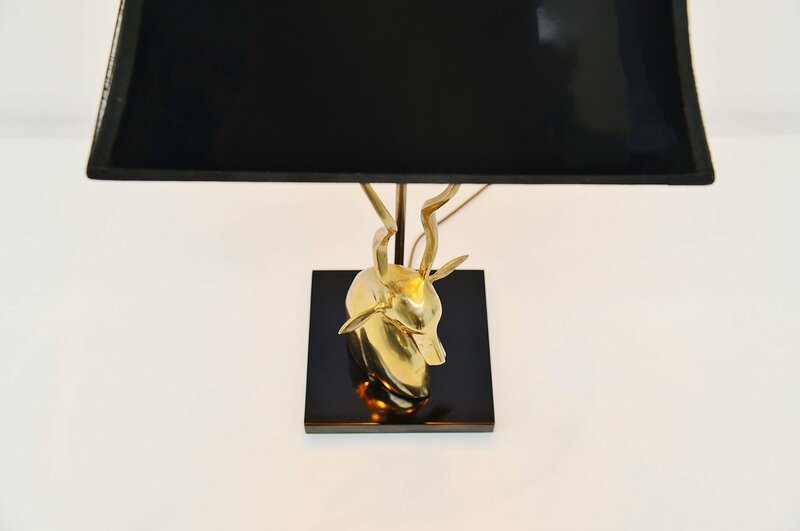 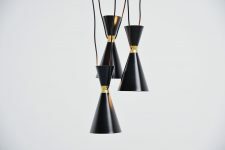 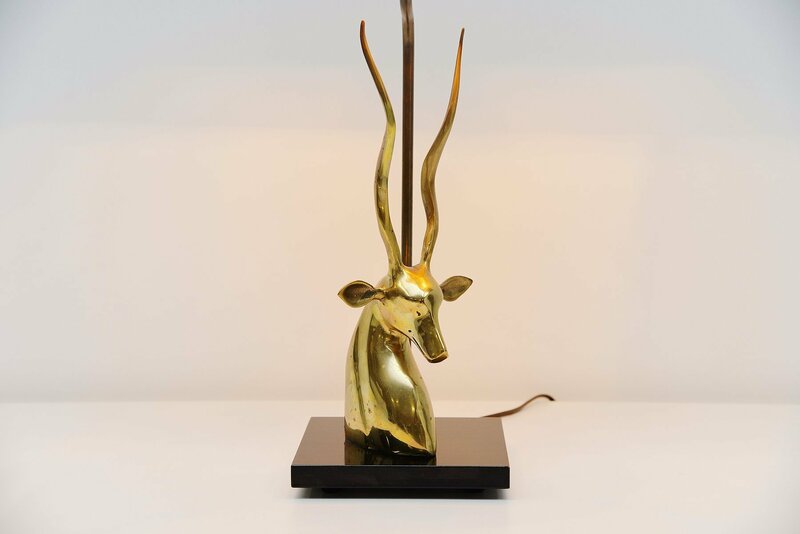 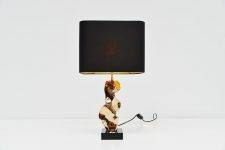 This lamp has a black lacquered wooden base and a brass sculptural antilope head. 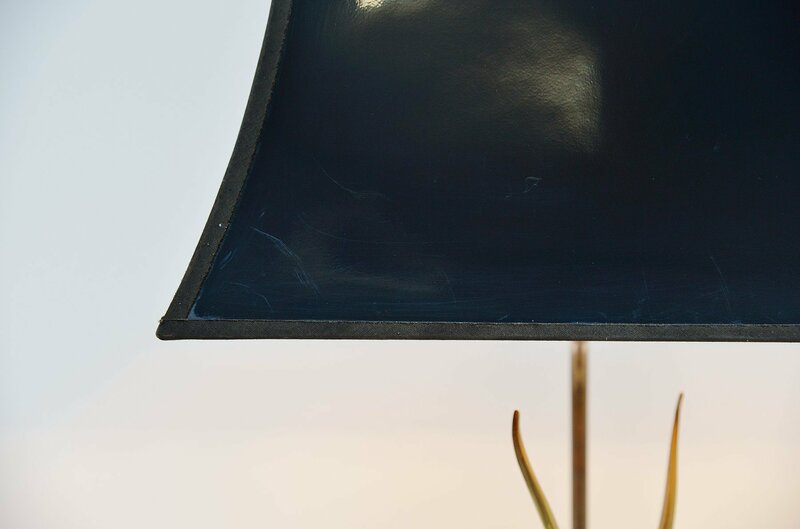 The shade is made of black plastic. 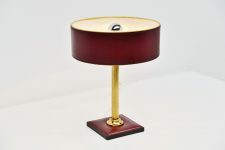 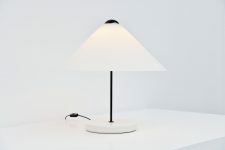 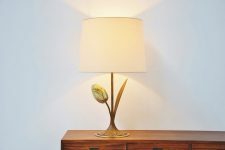 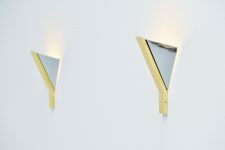 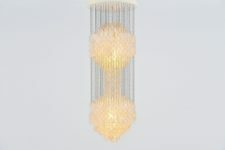 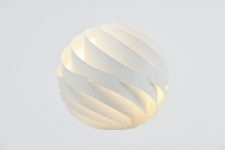 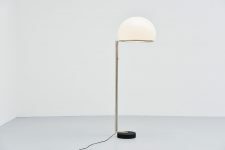 The lamp is very nice and large in size and gives very nice arm light when lit. 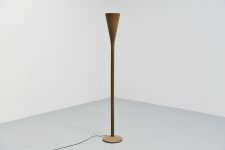 Attributed to Jacques Duval Brasseur.